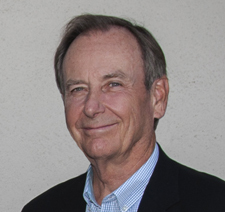 Dr. Robert Sheffield is a board-certified plastic surgeon who has practiced in Santa Barbara for over 20 years. He completed his medical education at the University of Tennessee and residencies at University of Southern California, University of Florida and University of Texas Southwestern in Dallas. Dr. Sheffield was one of the founders of the Rhinoplasty Symposium, which today remains the premiere teaching course in the world for plastic surgeons. He is a life member of the American Society of Plastic Surgeons and the American Society of Aesthetic Plastic Surgeons. He has performed cleft lip and palate surgery in Bolivia in the past and has been active in the Santa Barbara community as the medical director for the Santa Barbara Triathalon for ten years. He has also been an active volunteer for the American Cancer Society. Dr. Sheffield's research has been in the area of ear reconstruction, rhinoplasty and facial rejuvenation. He also has continued interest in surgical reconstruction following Moh's surgery for treatment of skin cancers. 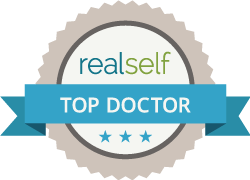 Today, Dr. Sheffield realizes there is a need for less invasive rejuvenative procedures for patients and medical technology has been following suit. His practice is unique because of his direct association with a quality medical staff who is devoted to the highest standards of dermatologic care. In his spare time, Dr. Sheffield enjoys listening to and playing music on guitar and piano, gardening, playing golf, and traveling.